I’ve been experiencing a really interesting phenomenon since I’ve arrived in Uruguay and Argentina. I haven’t spoken much about it because it is a bit embarrassing. But since I now have a portion of the answer I’ll share. Each school I’ve visited I’ve encountered audiences, especially among the very young, of exceedingly “wide-eyed” and enthusiastic children. I have these experiences back in the U.S. also but it usually has to do with the flowing robes, mysterious looking instruments, etc. Every performer feels their audiences. It isn’t something that can be described. You’ve simply got to experience it. So, when I say this, there will only be some of you who will understand. My audiences have been “hyper-attentive”. I’ve looked into the eyes of 7, 8 and 9 year olds and seen an enchantment usually reserved an appearance of Santa or the Easter Bunny. The “pin-drop” silence is occurring 100%, no matter what school I go to or age I engage. 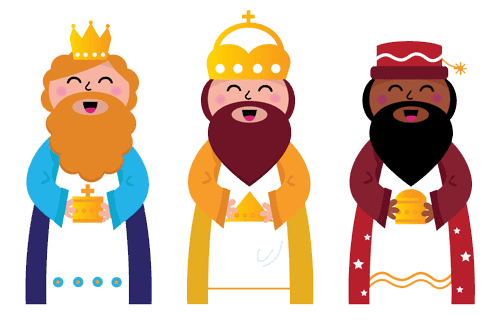 For those of you not in “the-know,” El Rey Mago is the Spanish word for each of the three wise men from the Nativity. These children thought I was Balthazar, the wise man possessing a gentle, darker tone to his visage. All of a sudden, it hit me. In a country where the population of people of African descent is 0.37%, to be a person of color is a bit of an anomaly. The only relationship many of these children have to a person of color is in their Catholic religious services and Christmas. Thus I have presented to them as Balthazar, one of the three wise men, incarnate. I wouldn’t have written about this if it had not occurred on more than one occasion. I have been very curious as to why so many of the youngest children crave touching the hem of my robes or freeze wide-eyed when standing before me. Not sure what, if anything, I should do with this. There can be several advantages to being one of the three wise men. But then again there can be several disadvantages. I’ll let your imagination run with that one.